The Central Bureau of Investigation (CBI) is looking into the funding and transactions of Datacom Services (now Videocon Mobile), which was among the firms awarded a 2G telecom licence in January 2008. The Videocon Group holds 64 per cent in the mobile services provider, while HFCL promoter Mahendra Nahata has 36 per cent. A senior income-tax department official said critical information on the initial funding of the company and subsequent sale of equity to the Videocon Group has been passed on to CBI. The official added that there were indications that Nahata acted as a front and that the initial share capital of Rs 150 crore (Rs 1.5 billion) was possibly raised through 'circular' transactions in connected accounts. One of the close associates of a top business house in the country is believed to have been involved. The official said Nahata then sold his equity in the company for profit to the Videocon Group. He added that investigators were looking into Nahata's possible gains in the exercise of applying for a licence, roping in the Videocon Group and then allegedly benefiting from loopholes and the procedures for 2G licensing. He said that the important question to be asked was, why a company was awarded a telecom licence when it has no track record in the mobile telephony sector. Nahata, however, stoutly rejects allegations of violating rules or using illegal means to generate share capital. "There is no question of taking money from anybody. It was our money and we invested it. I have nothing to hide," he said. Videocon Group Chairman Venugopal Dhoot also said he had invested in Datacom after proper due diligence and that there were no irregularities in the company's funding. "Share capital of Rs 150 crore was required; all of this came from (Nahata) and his sister concerns," added Dhoot. We checked everything and it is perfect. I have the due diligence report and how the money was invested. Everything is correct under the law and norms for application. Every single detail is available with the registrar of companies," Dhoot added. Nahata also stressed, "Every Datacom transaction is perfectly legal. We have not violated any law or eligibility criterion." He maintains that he has not exited the company and is very much part of it. "After the issue of a license, not one share has been sold by me to Videocon. Therefore, the question of making a profit does not arise," said Nahata. "I applied for a licence in August 2007. 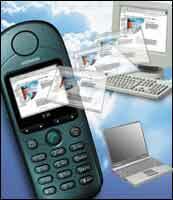 Videocon was roped in before the licence was issued in January 2008," he added. "All the allegations of moneymaking in the whole process is incorrect. We picked up 64 per cent stake in the company at par," said Dhoot. In January 2008, the department of telecom had issued 2G spectrum to eight new operators at Rs 1,658 crore each for pan-India operations. The companies allotted spectrum include Unitech Wireless (rebranded Uninor), Loop Telecom, S Tel, Datacom Services and DB Group-promoted Swan Telecom (now Etisalat DB). Investigating agencies, including the income-tax department and CBI, are currently scrutinising the details of these companies to track the money trails involved in the 2G scam.